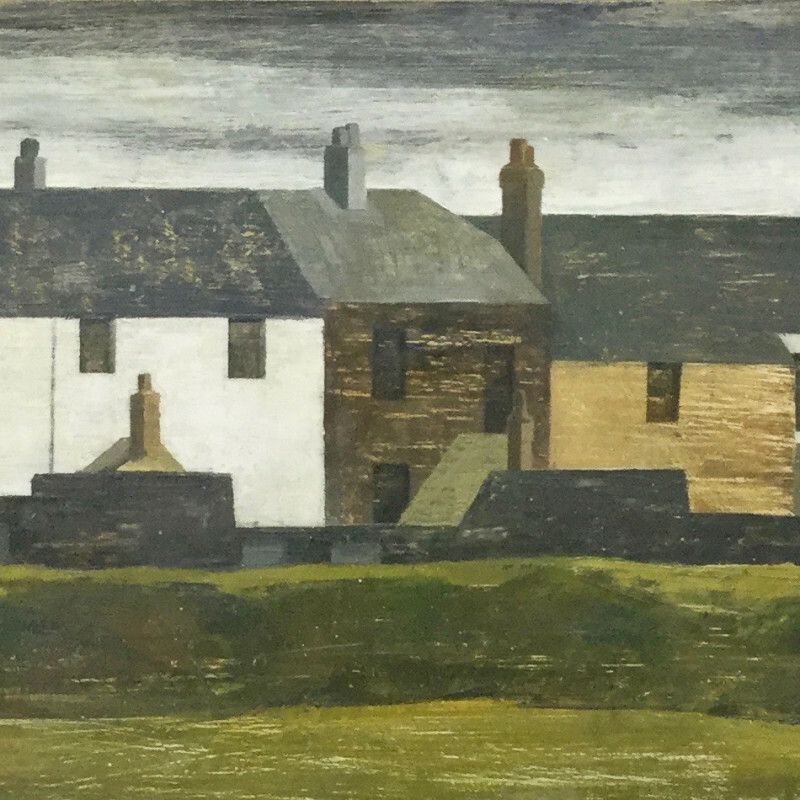 The painter Alexander Mackenzie has been described as 'a powerful and distinctive member of the post-war generation of Modernists at St Ives when the art colony was a hotbed of new talent.' He served as a driver in the Inns of Court Regiment, part of the 11th Armoured Brigade that raced across France, Holland and Germany in the months after D-day. Mackenzie studied at Liverpool College of Art before accepting a teaching post at Luskudjak School in Cornwall; he soon established close relationships with many artists including Ben Nicholson, Barbara Hepworth and John Wells. His paintings were exhibited at the Waddington Galleries in London and at New York's prestigious Durlacher Gallery. Mackenzie was an active member of both the Penwith Society and the Newlyn Society of Arts, and was for twenty years the Head of Fine Art at Plymouth Art College. A number of retrospective exhibitions were held during his life-time and his work was included in the major exhibition: St Ives 1939-64 held at the Tate Gallery in 1985.